Our Data Destruction Services in Austin, Texas are secure and certified. This is true because we’re a highly-recognized E-Waste Recycling Company in the US and in North America. We can easily and completely destroy your hard drives where your private information can possibly be traced and hacked. 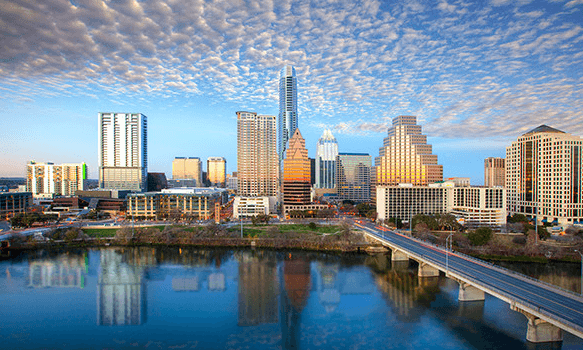 In Austin, Texas, we're recognized as the best company to recycle different forms of e-waste. Being in this field for many years now is an affirmation that we can really be trusted. You can enjoy our services by scheduling E-Waste Pickup today. Why to recycle computers? According to studies, computer units contribute a lot to environmental destruction if now recycled, reused, and/or remarketed. So, this is really important for you to recycle your laptop and/or desktop in Austin. The hard drives of your disposable computers can be used against you when they fall into wrong hands. That's why you need our proven Hard Drive Shredding Services. In Austin, we're just one phone call away. We're a professional company to help you make use of your end-of-life IT assets. You need to understand that your old computer units or mobile phones can still be a source of extra income for you. Our ITAD Services are all certified. Contact us today! Daily, you’re using your computer for work or business purpose. Daily, you are accumulating data and information in your hard drives. What if the time comes you need to dispose your outmoded computer unit? You need the Austin Data Destruction service powered by All Green Electronics Recycling. We’re serving many clients already, not just in this country, but also in the entire North America. We’ve been touted as one of the best in this industry, because our services are world-class and our workers are all top-notch. We’re oriented to providing the ultimate satisfaction to all our clienteles. Hence, tapping our data shredding service is helpful. This particular city in Texas has an estimated population of 2,010,860 as of June 1, 2016. The number is good to use as the basis of saying that Austin is economically robust and progressive. There are many job opportunities in this area compared to the other cities in this state. Having said this, it’s pretty clear that e-waste accumulation is evident. Therefore, disposing computers is always present on a regular basis. Companies and individuals want to dispose their e-gadgets because they have a new model or version. Because of this, we’re recommending our Data Destruction in Austin, because before you can ultimately dispose your computer, you need to secure and delete your sensitive files permanently and safely. First, we’ve been in the e-waste recycling industry for years now. Obviously, we’re doing great in this particular field. Our clients have been happy with us. Second, we’ve been using modern-day technologies and know-how. In terms of shredding the files and information stored in the hard drives of your ready-to-dispose computer units, we’re the best! Third, our workers are all output-oriented. Thus, you can really entrust us your burden that is caused by the sensitive files and data saved in your hard disks. We’re expert on this. Our Austin Data Destruction service is the best for you!